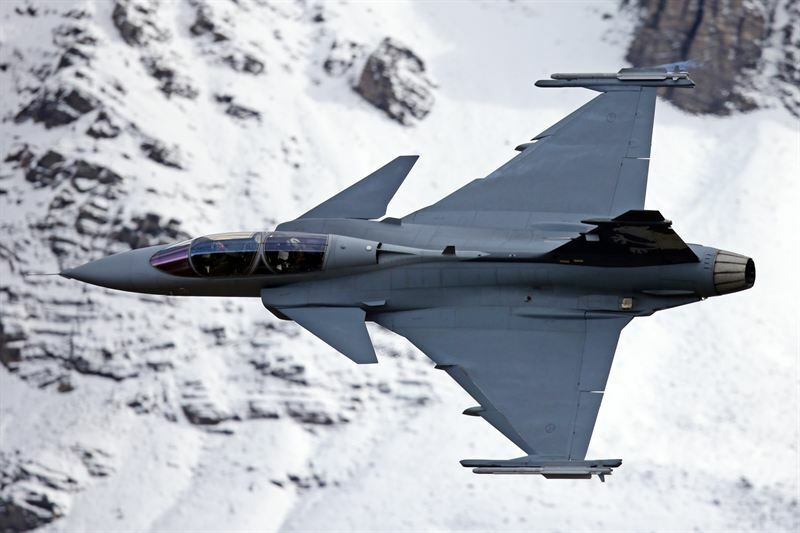 Saab is planning to hand over approximately 35% of JAS 39 Gripen E multirole combat aircraft’s component development work to Swiss companies as part of its Swiss Industrial Participation (SIP) programme. The move is a result of continuous dialogue with the Swiss Armasuisse, Swissmem, Groupe Romande Pour le Matérial de Défense et de Sécurité (GRPM) and Swiss Gripen Group (SGG) for Direct Industrial Participation (DIP), and demonstrating the company’s willingness and commitment to provide major direct SIP packages for Gripen E.
Primarily placed in French and Italian-speaking regions, the work is expected to generate business volume of approximately 200 MCHF and over 500,000 man hours of work for the Swiss industry. Saab Business Area Aeronautics head Lennart Sindahl said the company is currently in talks with Swiss companies across all regions of Switzerland, including small and medium-sized enterprises, which want to participate in the project. ”We are looking for companies with advanced skills and strong competitiveness that can be our partners for the long-term and to quickly seal their involvement in the program,” Sindahl added. Work includes the development, production and assembly of the rear fuselage, tail cone, pylons, air brakes, as well as external fuel tanks for 60 Gripen E fighters ordered by Sweden and 22 jets that are expected to be procured by Swiss Air Force, if approved by the country’s parliament. The acquisition forms part of a SEK47.2bn ($7.4bn) agreement signed between the Swedish Defence Materiel Administration and Saab in February 2013. Saab will also provide Swiss partner companies with access to the technology involved in the work package, eventually offering skills and competence needed to compete for major orders from other aircraft manufacturers in both the defence and civilian sectors. Image: A Gripen E/F aircraft during its flight. Photo: © 2010 SAAB GROUP.